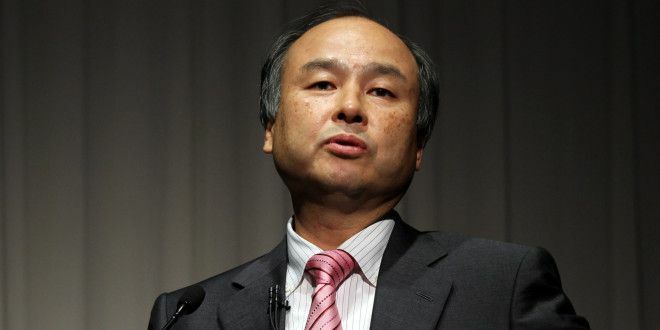 At the end of one of the most interesting weeks in wireless so far year, SoftBank’s chief, Masayoshi Son, fielded questions from reporters on the ordeal during the Japanese carrier’s Q2 earnings announcement. According to people in the know, his company backed out of its planned deal to buy a controlling stake in T-Mobile. This – of course – meant no merger between Sprint and T-Mobile. The next day, Hesse was out as Old Yeller’s CEO, and Claure from BrightStar was in. Son claims that Claure has exactly the right kind of fighting spirit to get Sprint turned around. Which begs the question: If Sprint needs a serious kick up the backside, why didn’t he act sooner to remove Hesse? And the obvious answer is: He was hoping for Legere. But you won’t hear any of the involved companies’ executives saying that. So, that’s just speculation for now. And if Son has his way, it’ll remain that way. With that said, he still believes that a better competitive environment is best achieved through consolidation. And you won’t find any company except AT&T and Verizon disagreeing with that sentiment. And he may have a point. AT&T and Verizon control over 2/3rds of the market and take in almost all the profit made in the U.S. For any company to compete on even terms, they need to be at least as big, both in terms of subscribers and network coverage. For companies like T-Mo and Sprint, getting there is not an easy task. ← T-Mo to overtake Sprint as #3 carrier by year’s end? John is being given overdue credit. He was the architect for merger of Sprint and T-Mobile. He was the one who canvassed for no to Iliad by saying he wanted “scale”. Eh? link sources on that one..
2 years. There will be a business-friendly administration and his chances will be much better. That’s if we still have a country in 2 years. People have been saying stuff like that for 200 years. Guess what? The world keeps turning and the United States is just as strong as ever. Truly the only thing that could make the US disappear within two years is the gigantic magma pool under Yellowstone. We are not getting powerful every year. We are adding debt of $500 billion every year. Our economy has been feeble for 6 years now. Our school kids have one of the lowest Math proficiency among OECD countries. The reality is we are hurling down the hill and you are looking in the rear view morror. “just as strong as ever.”? I stopped reading at that point. Your obviously out of touch with reality. Egypt doesn’t trust Obama, hmm why could that be? Prime Minister of Germany doesn’t either. Putin in Russia has ZERO respect for Obama. So all the Repubs/Tea Partiers are getting voted out? You mean the Crony Capitalist Republicans where the establishment backed candidates booted out all the Tea Party candidates using money power? It is not business friendly, it is corruption and collusion between dirty politicians and companies to scr6w tax payers. AT&T and Verizon combined control 2/3 of the wireless market??!!! I see why they cry bloody murder when other carriers want more spectrum or when Tom Wheeler doesn’t play favorites. Sprint felt like a small wingless bloodsucking insect, also known as a Tick. Good riddance. Does this mean sprint will buy U.S. Cellular? I read from Sprint sites that US Cellular wouldn’t make much sense. I read on this site that it would make more sense to have TMobile buy it because the spectrum is right next to each other. Could someone explain why US Cellular would be better with Sprint/TMobile. Well for a start Sprint buying ANY company is for a patient in ER taking gym membership. It is sinking and will be bought off on the cheap by some company when stock price becomes like Blackberry’s stock. That said Sprint uses CDMA. US cellular is also CDMA. T-Mobile uses GSM based technology. So Sprint buying T-Mobile never made any sense technically. I disagree. Look how fast T-Mobile is shutting down MetroPCS who used CDMA. T-Mobile is ahead of scheduled when it comes to this conversion. Over 95% of MetroPCS customers have already switched to T-Mobile phones. What matter is leadership by management. Sprint hasn’t had this for YEARS! T-Mobile has it now with Ledger. Don’t believe me then why did Mr. Masayoshi Son fire Hesse already and WANTED Ledger to run this new company. Completely disagree.. T-Mobile bought Metro and they were CDMA.. They just handed out new handsets on GSM and turned off CDMA and re-purposed that spectrum to LTE/GSM..
No reason they cannot do same with US Cellular.. Between T-Mobile 700 Mhz A-block, Sprint’s ESMR, and enough 600 band split between them, they should be able to finally put up a respectable coverage challenge to Verizon and AT&T, making “4 nationwide carriers” a much more reasonable statement. Sprints ESMR is a joke. It allows 1xAdvanced calls, or 5Mhz LTE, same as their PCS G-Block which worked out disastrous for them so far, so I don’t see anything with ESMR being competitive or giving respectable coverage to compete. At least not from my experience with it before I moved to TMobile. ESMR has virtually the same characteristics as the 700 MHz A block: a 5×5 MHz band. Except that Sprint’s got a lot more ESMR then T-Mobile’s got 700-A. In fact, Sprint’s got most of the nation covered with it, except for the southern border. The name itself is a joke. Well as John Legere would say sprint is Frucked. In a total reversal of terms, Son and armchair MBAs understand competitiveness as the capacity of looting the consumer, thus their love for consolidation. The name “Old Yeller” actually makes sense in this case. Dan Hesse died for Sprint. The wireless market isn’t controlled by 2 national wireless carriers. Yes they may have most of the market share, but going to far as saying we have a duopoly isn’t true! There are currently 4 choices for national wireless service, just because the smaller two have less than what the big two doesn’t mean that they do not matter! There’s no duopoly just lack of coverage competition from the smaller two carriers Sprint and T-Mobile, which honestly it is their own fault! Sprint and T-mobile independently could have argued for the rules that led to the fcc reserving 600 MHz spectrum a long time ago! Instead all these companies want is the easy way out through consolidation and don’t want to work and fight for new customers! Sprint has never made a single year of profit in 7 years. Son has failed to turn it around. Contrary to what Son says, AT&T and Verizon were praying Sprint app an buy up their fierce competitor T-Mobile. Then all the could go back to the old days of fleecing their own customers. The US will always have 4 major wireless providers. So Son’s lazy way of buying up the competition was bound to fail. Legere was given a bone on being the new CEO of the new combined company. How long has Son had the company? He’s a person, not a god….. turn it around….. He has had Sprint for over a year. All the more necessary to stabilize it and make it competitive before trying to buy out another company. All he did was to pi5s off many senior executives who left the company. Senior Executives who were unable to turn a profit for 7 years? One year is well enough time to actually plan, market and implement a price war that Son had promised but failed to deliver. Price wars are not started or matched based on family plans or individual plans either. TMobile has a great way of adding value without jacking the price or even lowering the price too much. At the time the network was being ripped apart. I personally wouldn’t have lured people over to find out that they, couldn’t stay on the internet for a few seconds, slower than normal speeds, …… Those people would have been hard to get back. That’s just my opinion. It was time for most of them to go. They were the basis for the problems. They’re where the problems started. Will someone explain to me why Spark won’t work? Based on this comment, I wonder to myself if Sprint even has a CTO??? Please don’t believe everything Willie D says, it’s bad for your brain. Willie D is over generalizing in the worse kind of way. If you are to believe his statements, then you should also believe that T-Mobile should be destroying their 1900 MHz network and backing completely out of all acquisition of 700 MHz and 600 MHz spectrum. I get that. I was trying to pull the truth with the BS out and in the process get him to open his eyes and it will force me to figure things out because I would have to check his facts and rational. The high band spectrum was exactly where I was going to begin with TMobile having high and low also. That sounds expensive. Is the spectrum that TMobile is going to be biding on complimentary? Is this something all cell companies are eventually going to be doing? Do Sprint devices suffer because they have the ability to receive three signals (except for no voice and data at the same time)? Good luck Mr.Son, I think you actually dodged a bullet. The last time someone tried merging two nationwide operators in the USA(Sprint and Nextel) it made for textbook and MBA case studies on bungled mergers. Today Sprint has what they need to succeed from a capital and spectrum perspective, now the ball is squarely in your court to execute on a well defined strategy and succeed. I have a feeling Sprint will be more profitable 2 years from now. Its time to say By By America ! You killed everything you touch. From Radio Shack that was supposed to be the Official Sprint store That’s now selling @ 1.00 per share and was just told either jump it up or get taken off the NYSE / The slaughter of Nextel and the demise of US Cellular . Your loss of customers and the going rate of 5.60 on the exchange how much longer do you want to prolong the agony ? )) No one wants you no one needs you and No one cares. Be done with it ! Ask Iliad maybe there interested ___maybe …. What on earth does bashing America have to do with T-Mo/Sprint not merging? People these days…. You might want to re-take an english writing class.. because your english is horrible. Re-read your last sentence.. “This is what I get from a bunch of sprint lovers “who CAN read correctly”.. so you just said he read it correctly? umm.. yeah..
And the way you wrote the above, does read like bashing America. I re-read it like 3 times. There all fixed happy now by the way read your sentence > “WHO CAN READY CORRECTLY”.were do you see that so not only can’t you read it right but GET A PAIR OF GLASSES !! You so go a re-edit your bad english and act like it wasn’t there.. glad I copy/pasted your lying @ss. lol! It was confusing to read. You need to use English on this website. You put words in the wrong order. Were and where are two different words. You are one angry person. It’s where with an h not were. You have done that twice now. Also it’s They’re not there. Since the deal is kinda over, does T-Mobile still get that 2 billion? But it does raise the question no one is asking, “Did Sprint get privy information to TMo operations?” And if so, there needs to be some compensation for looking at TMobile books, trade secrets, billing practices, etc..
That’s true,wonder if it can be proven? Or…Maybe he did see it and realized that TMo was in a stronger position than he is,so once the bid became public,there would be a push against the merger because Sprint is too weak financially. Wonder if TMo will bid for Sprint instead? really just a thought tho, DT has been wanting to offload Tmo USA for a long time now. Tmo needs to continue to take over the smaller carriers and creep on the big two carriers. I don’t think ATT and Vrzn saw the changes Tmo has been pushing coming,thats why they keep copying everything Tmo is doing like whip lash. Seems to me like the big two are on defense,they don’t seem to have any new ideas. Now we’ll get to see if Son can walk the big game that he talks. If he can successfully improve Sprint’s network and revitalize their brand, then he really is the real deal like he claimed to be when he first bought Sprint. “…with aggressive competition among three firms rather being controlled by two.” He is right, because Sprint is Dead! Can anyone say SprintBerry? You need to watch your homophones. It’s should’ve or should have not should of. Why do I have the feeling this is all misdirection? No, a competitive environment is best achieved by providing best customer service at the best price. All others are gimmicks. Consolidation is killing competition by buying your most fierce competitor. Son has failed to do anything for 1 full years since Softbank bought Sprint. If with 50 million customers he can’t make a profit, no amount of “consolidation” can do that. If you can’t turn around Sprint, Mr. Son please sell it. Do not trash Softbank share holder funds. That’s right a whole year. Most of that time he was trying to buy T-Mobile I don’t believe Legere has a problem with consolidation, as long as he’s incharge. Of course he would say that. Well I want Tmo + sprint . Nope -They backed out!! Verizon? Heck NO !!! Stay away from my Tmo!